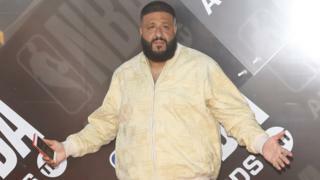 DJ Khaled has pulled out of his appearance at Wireless Festival due to "travel issues".He should have been headlining the third day of the show at Finsbury Park in London but cancelled just hours before he was due on stage.Fans had been asking questions after seeing a video of him in an Instagram post just hours ago in an infinity pool on holiday in Mexico.Wireless confirmed the news on Twitter. The star, who collaborated with Rihanna on Wild Thoughts, had been due to close the festival tonight but has been posting pictures of himself nowhere near London. Just hours ago he shared a photo of him still on holiday. And then he was on a private jet. He's since posted a video from a pool and then a few hours after that the news came that he has cancelled his appearance at Wireless due to travel issues.His fans aren't happy.tarikanarula wrote: "I'm really upset @djkhaled, we went to a lot of effort to come and see you today and you don't even bother to come and see your fans or even provide an explanation. You've really let us down and made me cry on my birthday. "rays_rayy wrote: What flight issuesNewsbeat has contacted Roc Nation, the entertainment company that represents DJ Khaled, for comment but they haven't yet responded.